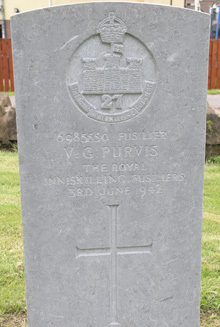 Fusilier Victor Purvis was born on 12th August 1923. He was the fourth son of William and Annie Jane Purvis, and brother of Robert and Jean Purvis of Kingsbridge, Cookstown. Prior to enlistment he worked as an apprentice Plumber. He joined the Inniskillings in November 1941 at Omagh. 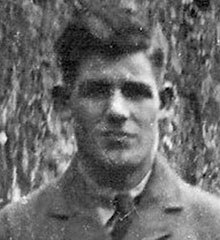 Further training took place in England where Victor George Purvis died as a result of drowning near Cornwall while training on 3rd June 1942.